The Acer TravelMate P449-M-39MM is another laptopPC comes packed with the processing muscle of 6th generation Intel Core i3-6100U ULV dual core SOC that features 3MB level 3 cache and runs at the clock speed of 2.3 GHz without turbo boost technology. It also features Hyper Threading technology to process up to 4 threads at once. This SOC has a PassMark score of 3873. It has a an integrated graphics controller dubbed HD Graphics 520 which represents the "GT2" version of the Skylake GPU. It has 24 Execution Units, which are clocked at 300 - 1000 MHz and offer a performance somewhere in range of a dedicated GeForce 820M. 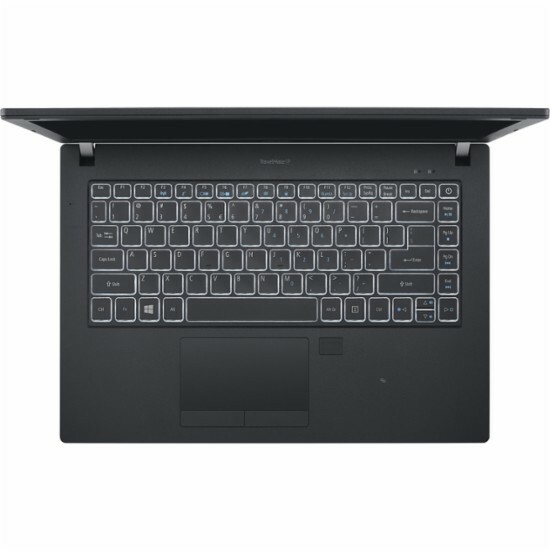 Under the hood, this laptop PC comes with 4GB 2133 MHz DDR4 SDRAM system memory for advanced multitasking; 128 GB solid state drive (SSD) which is more efficient than HDD; built-in fingerprint reader; built-in media reader for simple photo transfer; Trusted Platform Module (TPM) Security Chip; Acer FineTip keyboard, multi-gesture touch pad; Acer TrueHarmony for a lifelike audio enhances entertainment with a one-of-a-kind speaker design to deliver deeper base and more volume; built-in HD webcam with microphone; and 4-cell 48 Wh Li-ion battery which will give you up to 8 hours of battery juice. It comes in black color for stylish look. 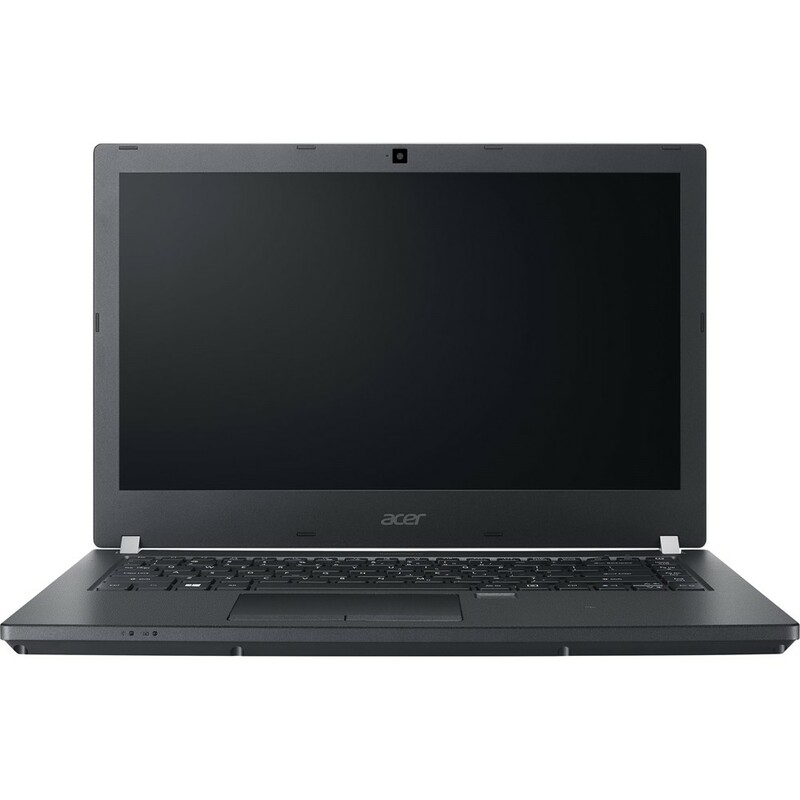 In terms of display, this Acer TravelMate P449-M-39MM comes with 14" display with Acer ComfyView technology reduces reflection and 1366 x 768 resolution. This resolution is not that high so it is expected that the display is not that sharp and clear compared to other laptops with higher resolution. Speaking of connectivity, this Acer TravelMate P449-M-39MM comes with 1 USB Type-C port; 1 USB 3.0 port maximizes the latest high-speed devices; 3 USB 2.0 ports to connect more accessories and peripherals; Bluetooth 4.0 interface syncs with compatible devices; Next-Gen Intel® Wireless-AC connectivity; VGA; and HDMI output expands your viewing options. 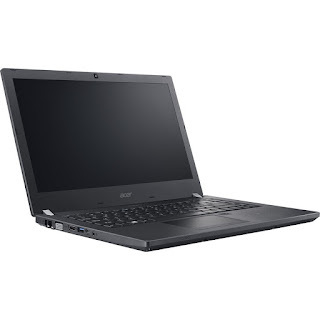 The Acer TravelMate P449-M-39MM is powered by Windows 7 operating system. It measures about 0.9 inch x 13.5 inches x 9.3 inches and weighs about 4.41 pounds. You can get this device at the price of $649.99. Other devices in this price range include DELL INSPIRON I5567-5802GRY-PCA; HP 15-BW018CA TOUCHSCREEN; and LENOVO THINKPAD E570 20H50048US. Do you own this device? Share with us your thoughts about this device.